The Cool Davis 2014 Eco-hero awards for Transportation go to Andy Frank for producing cars that use fewer and cleaner energy resources and Carla Peterman for her efforts to build the statewide infrastructure needed to support cars of the future..Davis Bicycles! School Committee receives the Climate Solution Award for promoting both healthy lifestyles and a healthy planet. Prof Andrew A. Frank (“Andy”) at UC Davis, says, “Using plug-In hybrid electric and electric vehicles (PHEV, EV) is key to meeting current and future climate challenges related to transportation.” The use of PHEVs and EVs allow fossil fuels to be replaced with renewable electric energy from solar, wind, and hydro, and a little liquid biofuel, without sacrificing our lifestyles. During more than 30 years of research, Andy and his students have engineered many plug-in hybrid electric vehicle prototypes and showed how they could be efficiently powered using 90% renewable electricity and 10% renewable biofuel for ZERO CO2 greenhouse gas pollution. Andy is also cofounder and Chief Technical Officer of Efficient Drivetrains Inc. (EDI), a company that works on commercializing his research and University-owned patents to produce clean, green cars, trucks and buses for the future. EDI’s goal is to develop advanced PHEV and EV designs that will be simpler to produce and more economical to purchase than the first generation PHEV and EV designs available today. 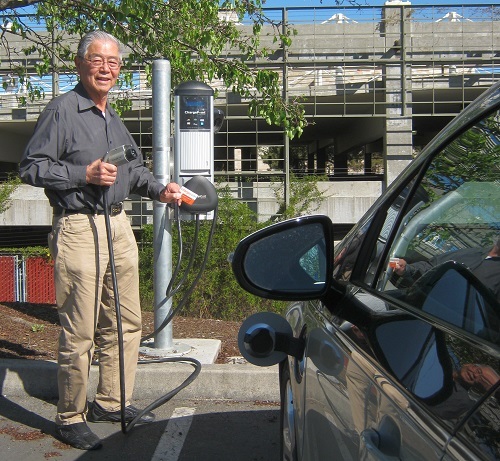 Once our existing energy distribution infrastructure (electric grid and liquid fuel pipelines) is modernized and adapted to provide renewable electricity and biofuels for PHEVs and EVs, these vehicles can be economically used for transportation and integrated into in all sectors of our society including housing and commerce. 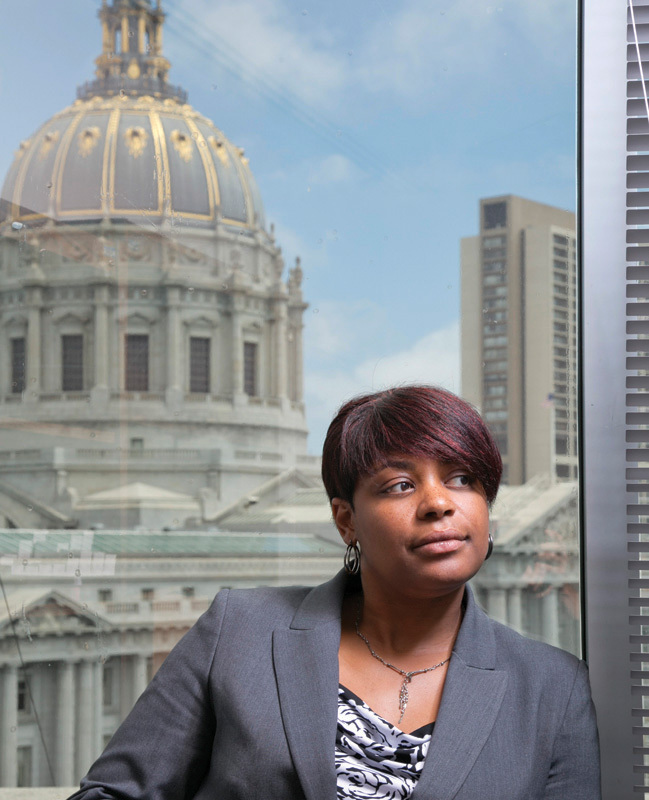 As a California Public Utilities Commissioner, Davis resident Carla Peterman is motivated by a desire for healthy and sustainable communities that contribute to our long-term environmental sustainability and economic success. Carla has proven herself a dedicated champion for sustainable transportation through her work on the commission and as the chair of the Plug-in Electric Vehicle (PEV) Collaborative, a public-private partnership to advance the market for clean electric vehicles. The transportation sector contributes more than 40% of California’s greenhouse gas (GHG) emissions; so greening transportation by transitioning to lower carbon fuels such as electricity, and increasing access to biking, walking, and low-carbon mass transit solutions are key to reducing our GHG footprint. With regard to the benefits of PEV’s, Carla says they can provide “lower greenhouse gases, lower air pollution, and lower operating costs and utilize renewable energy sources. In addition to pursuing policies that contribute to a lower-carbon future, Carla also looks for ways to improve her own impact on the environment and recommends that people look for opportunities to “…get to know and understand their energy consumption and look for ways to reduce their highest uses. For example, switching to energy efficient light bulbs and appliances, and weatherproofing can significantly reduce energy use and bills. Healthy lifestyles and a healthy planet: a local group has found a way to promote both in our schools. In doing so, they’ve provided a model for other communities looking to do the same. The Davis Bicycles! School Committee has ridden away with this year’s Cool Davis Climate Solution Award for the transportation category. The Davis Bicycles! 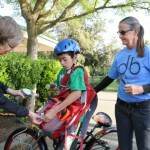 School Committee promotes biking to school through engaging educational programs for kids and their families and by working with City of Davis staff for bicycle-friendly policies. Christal Waters and Trish Price are two active members of this Committee which has involved 1,122 students from Davis elementary schools. These students have logged a whopping 90,000 miles in more than 48,000 bike trips, and have prevented 40 tons of CO2 emissions–and they’re proud of it! Past Davis Bicycles! 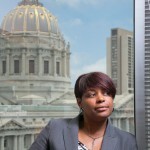 board member Christal Waters started the School Committee in 2007 to work with schools to boost student bike ridership. Current board member Trish Price now chairs the Committee and has found that in addition to getting kids on bikes, she’s made new friends and has gained a deeper understanding of local politics and how to effect change. The Committee’s programs promote bike riding for kids in a fun and supportive way. The Loopalooza is an annual, family-oriented bike ride that showcases the Davis Bike Loop as a safe route to many Davis schools. Active4.me volunteers scan kids in when they bike to school in the morning, thereby sending a text or email to their parents. 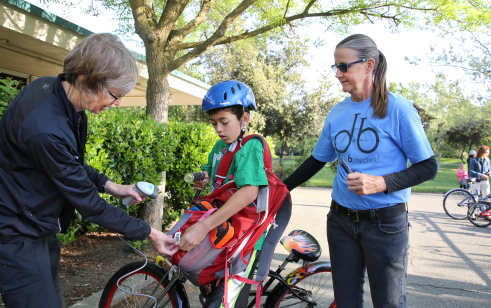 Parents know that their kids have arrived safely, and the Active4.me Web site allows kids to track their miles and the carbon dioxide emissions their pedal power has prevented, and even the calories they’ve burned in place of the gas they’ve saved. Bike rodeos: doesn’t that sound fun? They are, with their “slow races” and figure 8s, but they also teach vital skills such as scanning, which, when you think about it, isn’t so easy: looking backward and to the side while riding forward. Bike rodeos help kids learn safe biking techniques while having a good time. Cool Davis loves living in the land of bike rodeos and Loopalooza and is thrilled to recognize the Davis Bicycles! School Committee with a Cool Climate Solutions Award. And see you on May 4th at the 2014 Loopalooza!